When you’ve only recently fallen in love with jewelry or never seem to have the right jewelry piece, it is time to build a proper jewelry collection. So where should you start? Should you buy precious & semi precious stones jewelry? One of each style might be excessive when you are only just starting your jewelry collection. Better check our list of essentials for your jewelry collection below. These are the pieces that cannot be missing from your jewelry collection. Without these, your outfits will never be complete. A pair of studs with clear stones like diamonds, cubic zirconia or even crystals are the first pair of earrings that you should buy for your jewelry collection. This pair of earrings can be worn with any outfit and to any occasion. 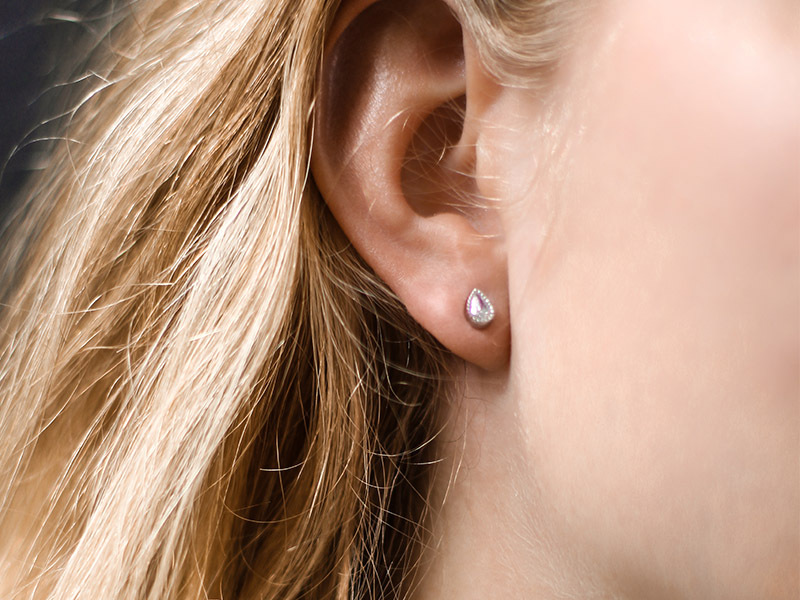 Clear stone studs are like your default earrings. Choose studs that suit your style. If you’re a golden girl, find a pair set in yellow gold. If you’re a diva, go for a large square stone with a barely visible setting. If your style is more minimal, choose a pair of studs in a geometric form. A matinee necklace trumps a princess length necklace because of its subtle wow factor. When you are looking in the mirror and feel like your outfit needs an upgrade, what your missing is a long necklace. For this basic element in your collection, choose a simpler matinee necklace. This piece is not your statement piece but your quick solution for a ‘je ne sais quoi’ air. Choose a thin chain with one interesting element. For example, a few small gemstones, a knot in the design or a small pendant. This is the pair of earrings you’ll wear when you want to look chic. Think of your personal style before you add this piece to your collection. Silver threaders look great with a sleek look. Colorful gemstone drop earrings work for the bohemian girl. And if you’re anything but a wallflower than you can go straight for the chandelier earrings. Aside from the essentials, there are a few more jewelry pieces that you’ll wear on a regular basis. For the daily essentials in your jewelry collection, stick to the basic designs that won’t go out of style. 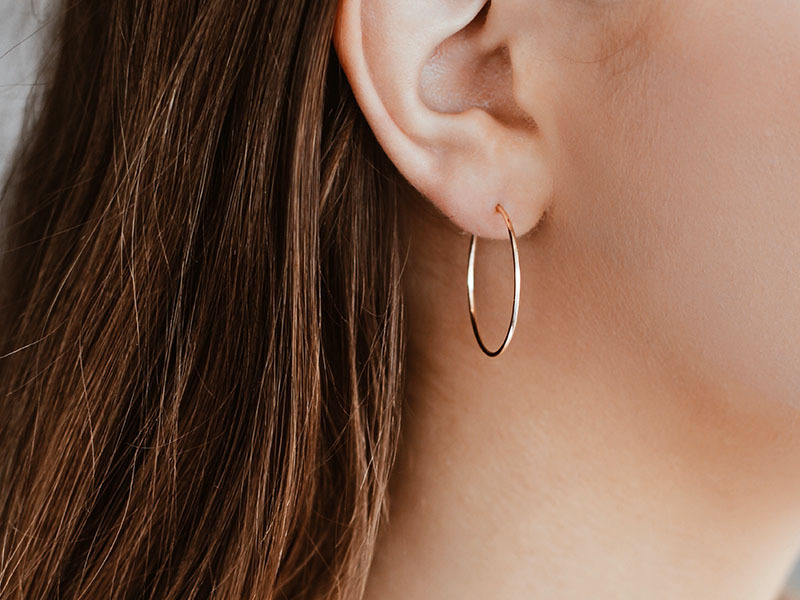 Hoop earrings are a chic and versatile jewelry piece. Wearing hoop earrings draws attention to your face in a subtle way and livens up any outfit. Choose a medium sized hoop in either yellow gold or silver. Leave out the adornments. This way you can wear them to literally any occasion, whether it’s that important business meeting or casual drinks with friends. Everyone should have one piece of jewelry that is like a talisman. Wear your pendant necklace as your talisman and watch how positive energy starts to surround you. For an active lifestyle, choose a shorter necklace with a small flat pendant. A classic pendant necklace is at princess length. Choose a piece with a delicate yellow gold chain and a gold pendant. 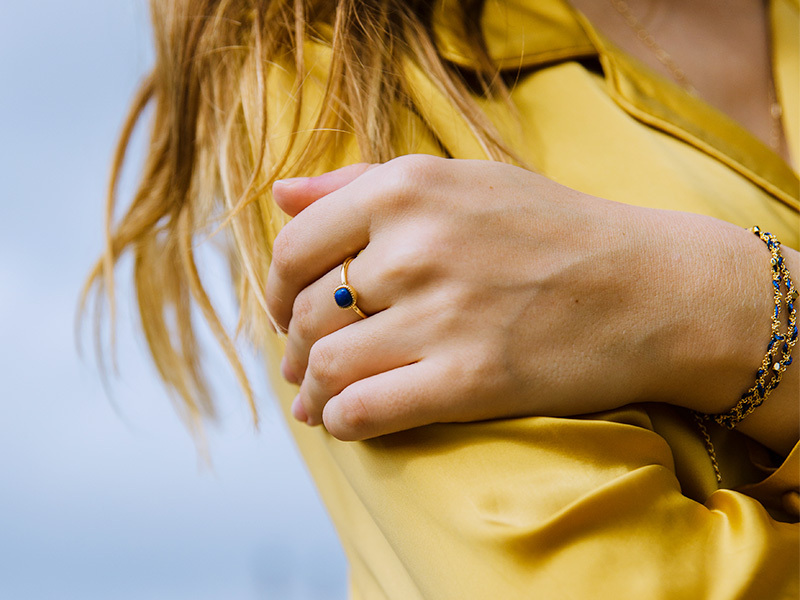 Every girl should have a gemstone ring in their jewelry box. This is the piece that is subtle enough to wear every day yet stunning enough to have people grab your hand for a closer look. Consider your gemstone ring an investment piece because rings will suffer the most wear and tear. Choose a durable precious metal like white gold with a gemstone that has special meaning to you. Finally, we have reached the most fun jewelry items to shop for: statement pieces. Statement pieces are the bold items that you wear to transform a look. A chunky bracelet is the piece in your jewelry collection that will give your look extra drama. 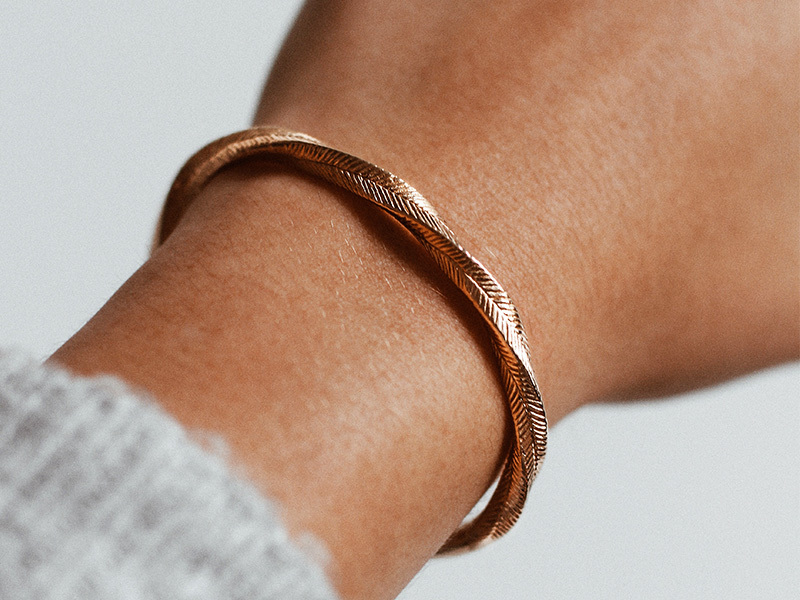 A copper cuff bracelet can give you an eclectic feel but works just as well for vintage looks and edgy styles. For a glamorous or feminine style choose a broad bracelet with lots of diamonds. A layered necklace is the piece of jewelry that shows you are a pro at styling. Impress everyone without the stress of layering by buying a piece that is already layered. Go wild with gemstones, beads, feathers even. This is your ultimate statement piece so don’t hold back your jewelry fantasies for your layered necklace. The only rule is that it needs to be wow. There you go, eight jewelry pieces that cannot be missing from your jewelry collection. Eight is a lucky number so take this as your cue to go shopping now. Want more details on what to look for when shopping for jewelry? We’ve got you. Keep reading through our collection of articles. Start your jewelry collection with Ana Luisa’s unique designer jewelry creations. Visit our online jewelry shop for more details.